I love marinated chicken, but I never buy commercial marinades. They’re full of high fructose corn syrup and a lot of other unnecessary ingredients. This is a healthy chicken marinade. So, I mixed up my own marinade. This is so yummy! It works to grill it, bake it, make sandwiches, add to salads, etc. We eat it at least once every couple of weeks. Mix all ingredients together, then add chicken. Marinate at least 6 hours, or better, 24 hours. Cook as desired. *It’s not important to mince if you don’t intend to use the marinade in any sort of sauce. Rough chop is fine. You can also add a bit of tomato juice or sauce for a bit of a different flavor. Yummy! 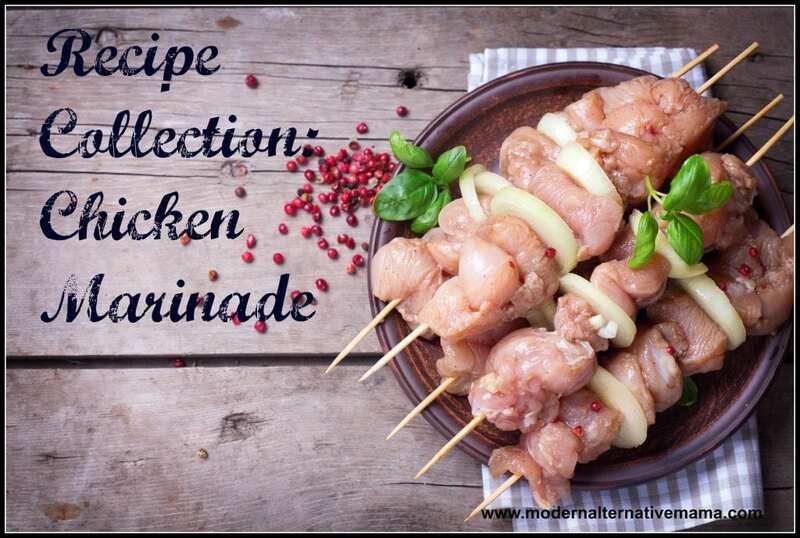 Do You Make Your Own Marinades? Can you freeze this? Or is it better to cook it then freeze it? Planning on starting gaps so I’m trying to prep!